Sean Everett. Photo credit: © Aubrey Hord courtesy QKC. 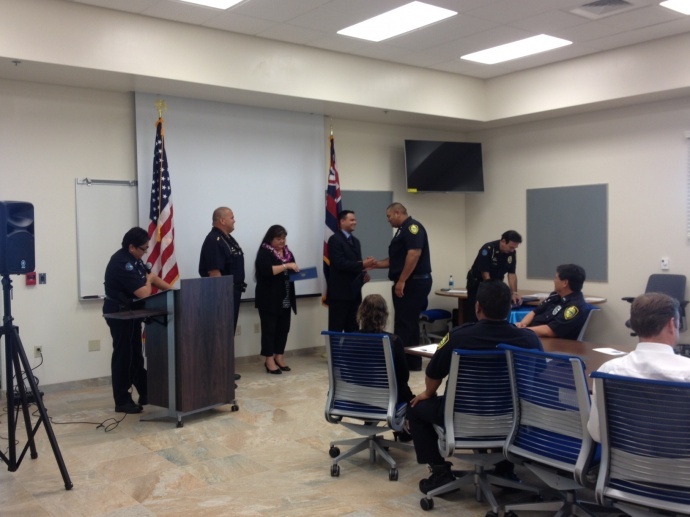 Queen Kaʻahumanu Center’s Director of Security, Sean Everett has graduated from the Crisis Intervention Team program. 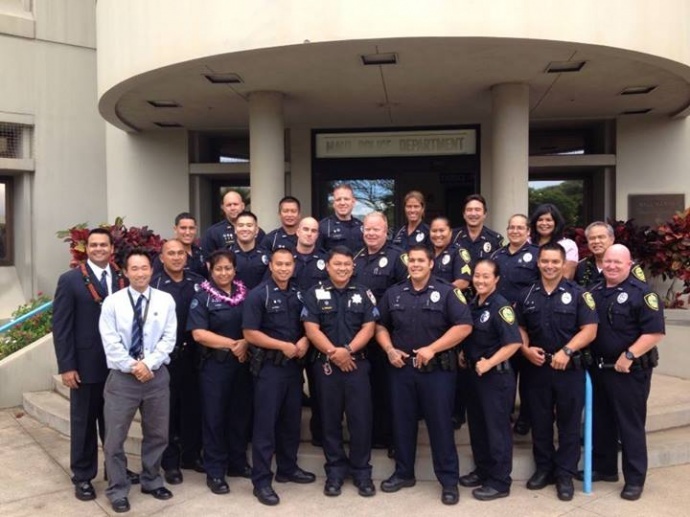 The Crisis Intervention Team program is a community partnership of law enforcement, mental health professionals and individuals living with these disorders, their families and advocates. CIT team training is a first-responder model of crisis intervention training to help persons with mental disorders and/or addictions access medical treatment rather than place them in the criminal justice system due to illness related behaviors. It also promotes officer, public and individual in crisis safety. “This is one of the many proactive and sustainable approaches QKC is taking to ensure the safety of our patron and tenant community,” said Toni Rojas, Vice President of Business and Community Development. “Sean has immediately implemented his training and shares techniques with his team on an ongoing basis. Working together will improve our community mental health system, potentially save lives, and bring hope and recovery to those in need. QKC appreciates inclusion of advanced specialized training opportunities to support our community safety,” said Rojas. 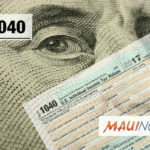 The Queen Ka‘ahumanu Center in Kahului underwent safety and security enhancements at the shopping center in January amid concerns raised over two alleged assault incidents reported earlier this year. 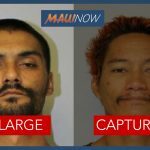 One incident involved an alleged kidnapping and attempted first degree sexual assault; and the other involved an alleged robbery at gunpoint within the parking structure.